Magnesium matrix composites found various applications in automobile and aerospace industry due to their low density, good mechanical and physical properties. The improvement of this property were attained by addition of reinforcing elements into the metal matrix. In this work the magnesium matrix composites reinforced with various weight percentage of silicon carbide by powder metallurgy process. The Fly ash is used as a reinforcement material in this matrix composite which will improve the homogenous distribution within the matrix. The composite is developed by adding silicon carbide and Fly ash in a correct mass ratio and the composite is prepared by Powder metallurgy process. Mechanical test such as hardness test, microstructure test are conducted. This hybrid metal matrix possesses a good homogenous distribution which improves the material suitable for various applications in automobile and aerospace industries. Raguraman B, Vigneshwaran M, Jeganathan M, Ramachandran K. "Characterization of Metal Matrix Composites Reinforced with Fly Ash." 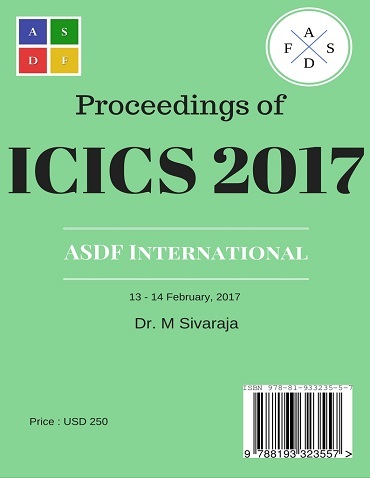 International Conference on Intelligent Computing and Systems (2017): 57. Print.